Will GetAhead Help MY Child? My child is struggling. How will GetAhead help? If your child is struggling to cope at school, then GetAhead is the perfect supplementary aid that will help your child understand the important work being taught in the classroom. Interactive question-and-answer based activities will give your child response-dependent feedback, model answers and working out with detailed explanations. This means that GetAhead specifically targets the weak areas your child struggles with the most. My child is an A candidate. Do I still need GetAhead? In addition to helping children who are struggling, GetAhead is also perfectly suited to children who are ahead of the class. Interactive revision and self-assessment exercises will keep your child entertained, while nurturing an interest in schoolwork. Without a doubt, your achieving child will find the enrichment, hints and tips contained in each activity to be a valuable source of extra knowledge. What Can My Child Do With GetAhead? 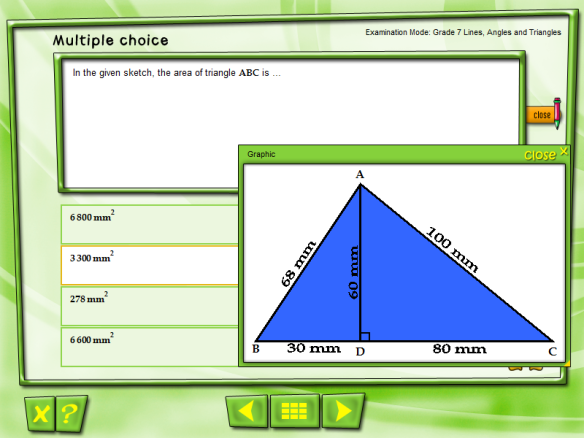 Hundreds of question-and-answer based activities. Hints, tips and explanations to guide you through each question. 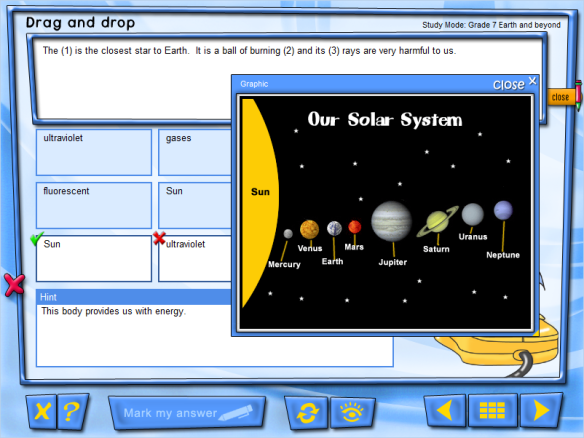 GetAhead includes hints, tips, explanations and further enrichment covering much of the core curriculum in each subject. Not sure where to begin? Your child can simply select a subject and start working through interactive activities that provide different responses depending on how your child answers each question. Hundreds of ‘mini exam’ exercises. Prepare yourself and gain the confidence you need to ace your exams. Immediate feedback tells you where you went wrong and provides detailed remedial exercises. GetAhead includes self-assessment exercises that will help your child prepare for exams and tests. The GetAhead interactive exams help your child with memory retention of all the important subject matter, as well as helping to improve your child’s overall confidence. 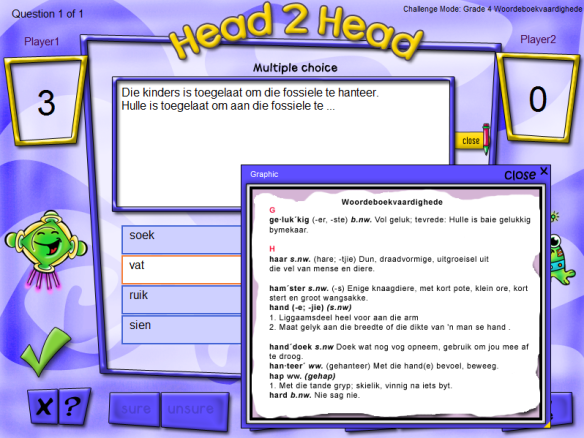 Make learning fun with GetAhead’s two-player Challenge activities. Challenge a friend (or mom and dad!) to a curriculum-based knowledge competition to see who scores the most points. You’ll be learning without even realising it! The challenge activities included in GetAhead have proven to be a big hit amongst GetAhead users. View EVERYTHING your child has been working on. Keep track of results and identify problem areas. Set targets for your child to achieve. 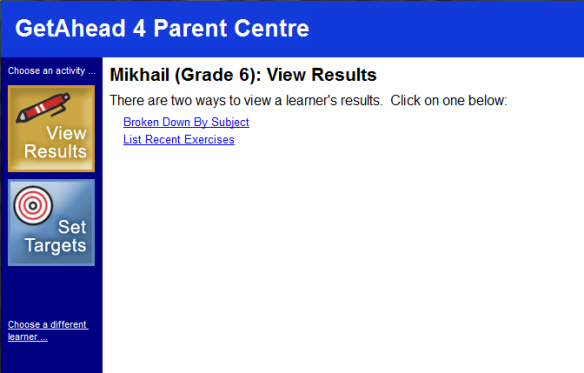 GetAhead includes a Parent Centre with important diagnostic information that will keep you informed of your child’s progress. You’ll get an overview of all the work your child has completed and attempted. Click on a grade to see the exercises available for your child. Based on the 2017 CAPS curriculum. Die volgende inhoud is ook in Afrikaans beskikbaar. © 2019 EvaluNet (Pty) Ltd. All Rights Reserved. GetAhead is an EvaluNet product.